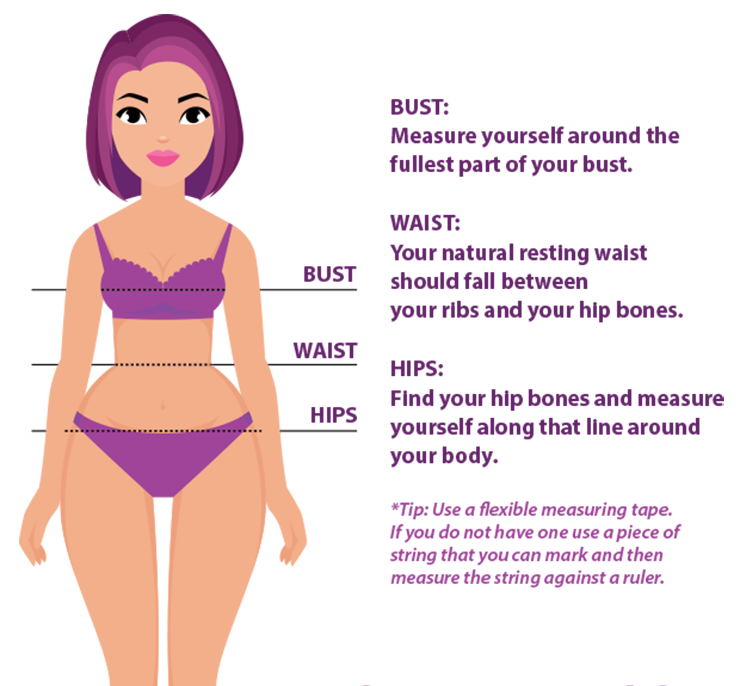 Bust: This is the total circumference of the fullest part of your bust. Waist: Measure the narrowest part of your natural waist line. Hips: This is the total circumference of the fullest part of your hips.